You’ve seen him interviewed on The Tonight Show with Jay Leno. You watched him throw the first pitch at an Angels game. You’ve read about him in seemingly every national sports publication. Now is your chance to meet coach Andy Enfield in person. For free. 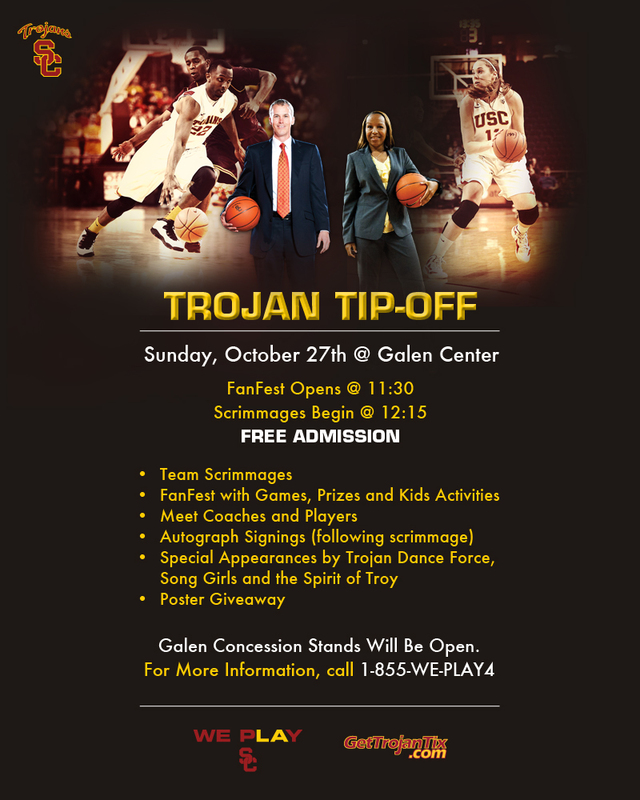 Less than 24 hours after the football kickoff between USC and Utah at the Coliseum, Enfield will host Trojan Tip-Off on Sunday, October 27 at the Galen Center. It will be the first opportunity for most fans to see the Trojans in action. There will be performances by the Trojan Dance Force, Song Girls and Spirit of Troy. New women’s coach Cynthia Cooper will be there with her team. 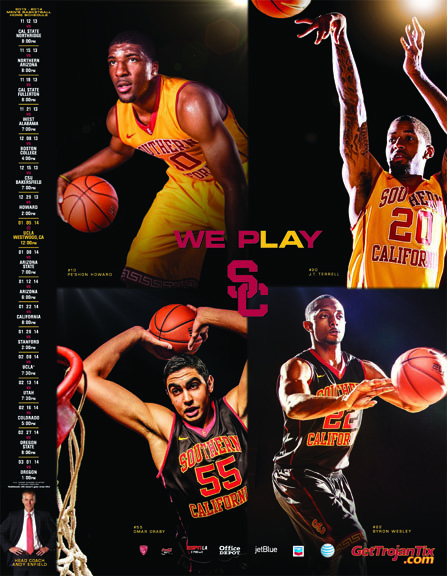 In addition, the Women of Troy will hold an open practice on Saturday at 8 AM at the Galen Center.